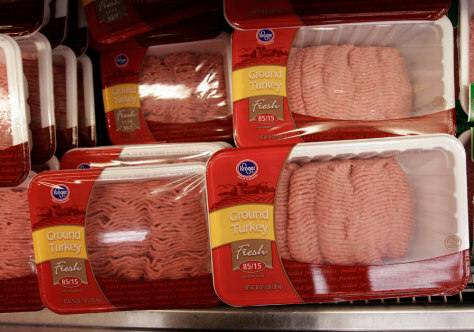 This ground turkey from the company Cargill, packaged with the Kroger label, is part of a massive recall of 36 million pounds of the meat. All of the packages recalled include the code "Est. P-963" on the label, the USDA said.